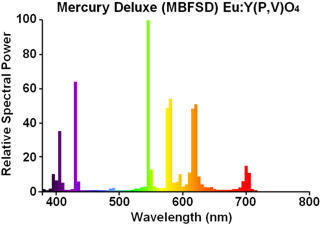 While not technologically significant, this later design of high pressure mercury lamp exhibits a number of features of American-made lamps of this time. Most noticeable of course is the shape of the outer jacket. 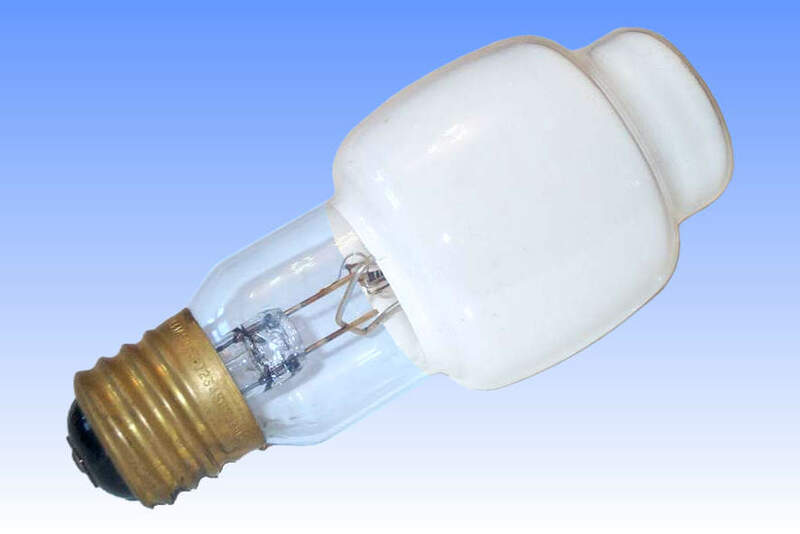 While Europe adopted the standard ellipsoidal shape glass, American manufacturers preferred to add a short tubular section onto the crown of the bulb. The reason was simple - most large HID lamps require the metal arc tube mounting frame to be supported at the upper end of the lamp. With tubular bulbs this is simple, the frame simply locates onto the straight glass sides. For ellipsoidal glass, it was customary to include an inward-pointing dimple in the bulb crown, onto which the mount frame could locate. This of course required a different shaped metal mount, however with the American shape shown here, the same support assembly could be used for both tubular and these so-called "blown tubular" or BT shaped bulbs. GE was the first US manufacturer to abandon the design, preferring the European E-shape glass which afforded a better light distribution, from around 1965 onwards. Philips' Westinghouse operation followed suit in 1988, but Osram Sylvania still continues with the original BT glass shape. Also worthy of mention here is the fact that this lamp was made at a time very soon after Philips' takeover of Westinghouse's lamp operation. 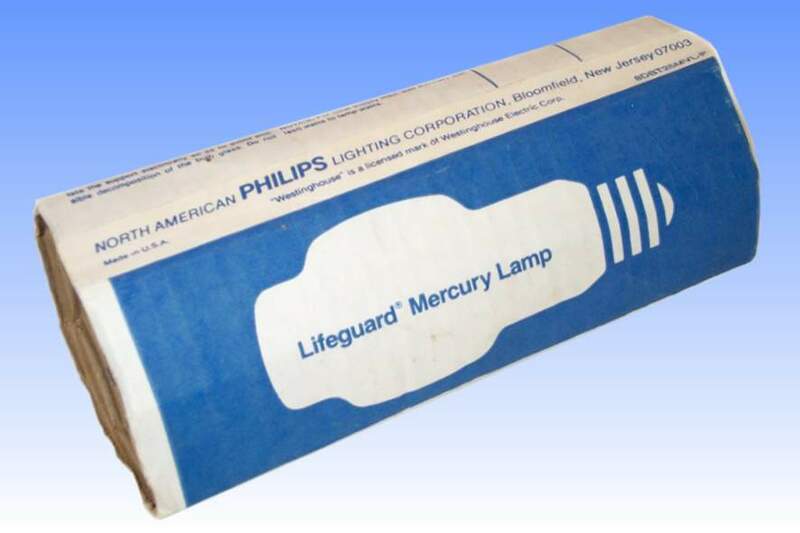 As such the packaging and brand stamp on this lamp bears both names. Within two years, the Westinghouse brand disappeared completely and was superseded by the Philips name.